Awal Express W.L.L was established in the year 1975 as a customs clearance and forwarding company. Since then we have been dealing with major industries, Ministries, reputed trading and contracting firms. With our vast experience over 30 years we have been able to provide timely services to our customers satisfaction. 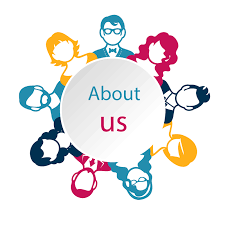 We have well qualified, experienced and dedicated staff team in fulfilling our customers requirements. Our operations department is well versed in all aspects of freight forwarding, shipping, transportation and customs clearance. We have established a worldwide agency network to import and export goods in and out Bahrain. We do have regular console shipment from Europe, UAE, USA, and Fareast ports. To meet out the growing demand of transportation in Bahrain, we have our own fleet of trucks to carry goods inside Bahrain and overland transport to other countries like Saudi Arabia, Qatar, Kuwait, Oman, UAE, Syria, Jordan, Lebanon etc. We have started our courier division in tie up with “ Global Express Worldwide “ a well known courier company having offices around the globe. We have a cargo and ticketing division called Atlas Travel and Cargo established since 1982, earned good reputation in Bahrain market and have won so many airlines awards for their best performance.